She recently burst onto the scene in -yes- a mushroom costume. Here are the facts, in words and photos. 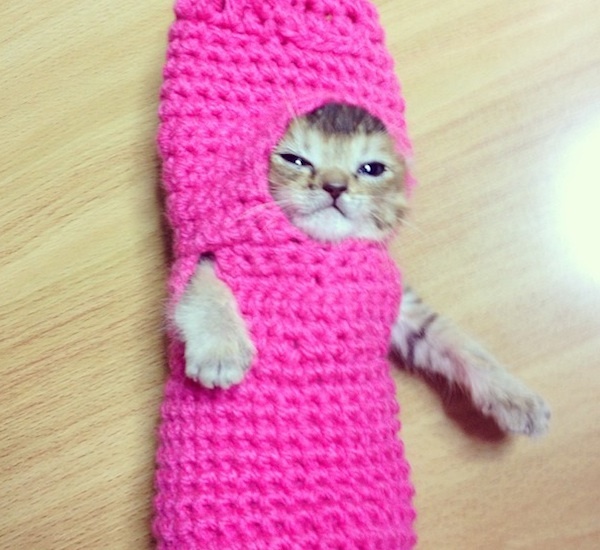 Last week, a delicate baby kitten called Wasabi-Chan became the cutest thing on the Internet, after pictures were posted of her dressed in a full-length, hand-crocheted mushroom bodysuit. 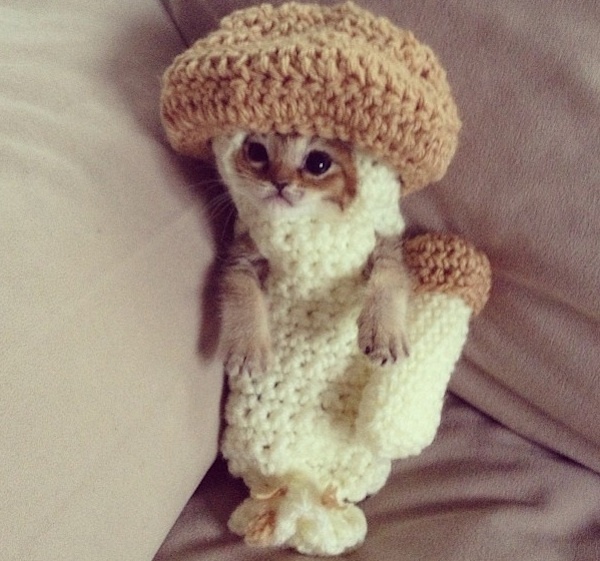 The itty-bitty kitty was wearing the woven button mushroom costume to assist with feeding her through a tube after she was found abandoned and having been attacked by the world’s meanest crow. Now she’s making great strides toward recovery. 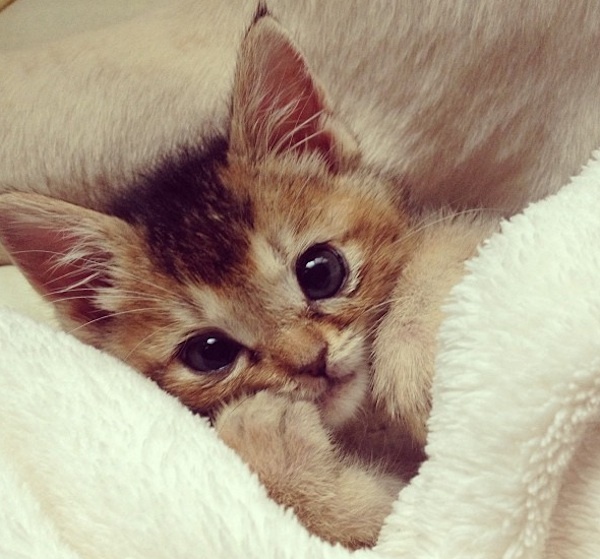 Here’s what we know about the heart-melting story of Wasabi-Chan. Wasabi-Chan’s rescuer goes by the Twitter handle of @jessiepon — and she’s been uploading a steady stream of cute-as-a-button-mushroom pictures to her Twitter and Instagram feeds. She deserves a very shiny medal. The details of the horrific, blood-thirsty crow’s assault have been revealed on Reddit by a member called histak. To wit: “She was rescued after being attacked by a crow. Her top jaw was fractured, a hole in her throat, tongue was ripped, and part of gum was eaten.” That crow has issues. 3. Super grandma made her outfits! 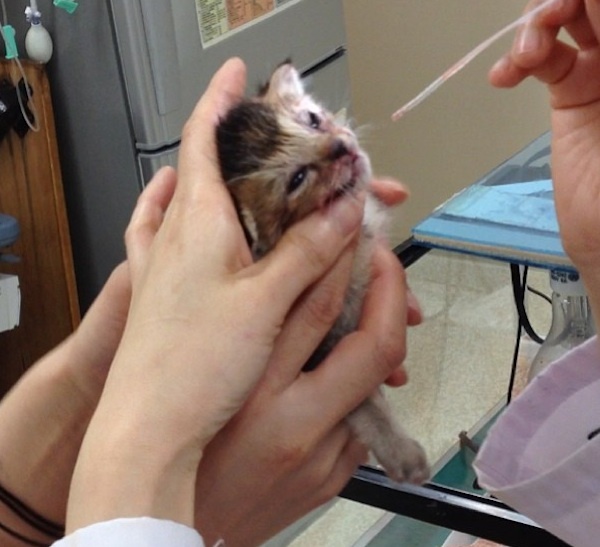 The idea to make Wasabi-Chan a series of adorable hand-knitted outfits came about after the kitten didn’t take kindly to being fed through a tube. Enter @jessiepon’s grandmother, whose quick-knitted ways conjured up a solution that combined cuteness with practicality. The kitten-sized mushroom outfit has turned into Wasabi-Chan’s most adored get-up, but it was a more sober pink ensemble that is rumored to have been the first fully functional kitten-jacket. 5. There are more outfits! According to the same Reddit user who posted details about the attack, @jessiepon has stopped posting pictures of Wasabi-Chan in her outfits in case they’re misconstrued as being cruel. 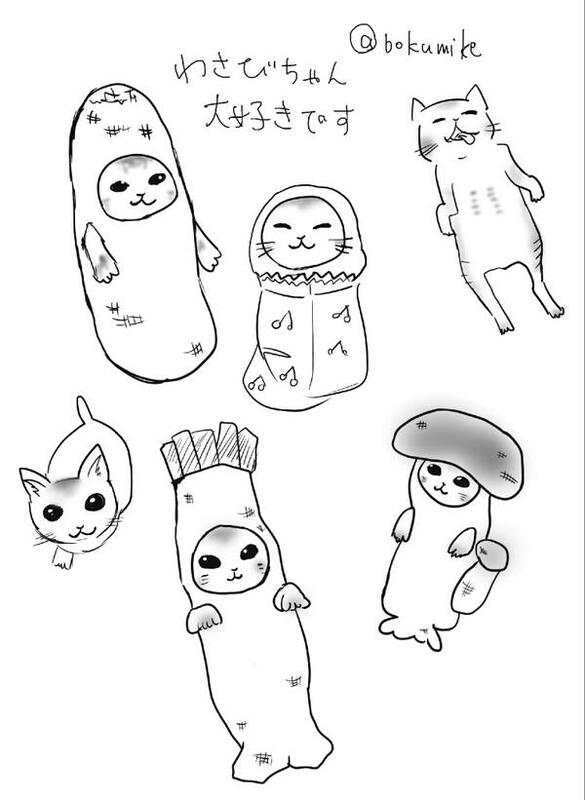 But sketches posted on Twitter suggest there are many more Wasabi-Chan outfits that have been made! 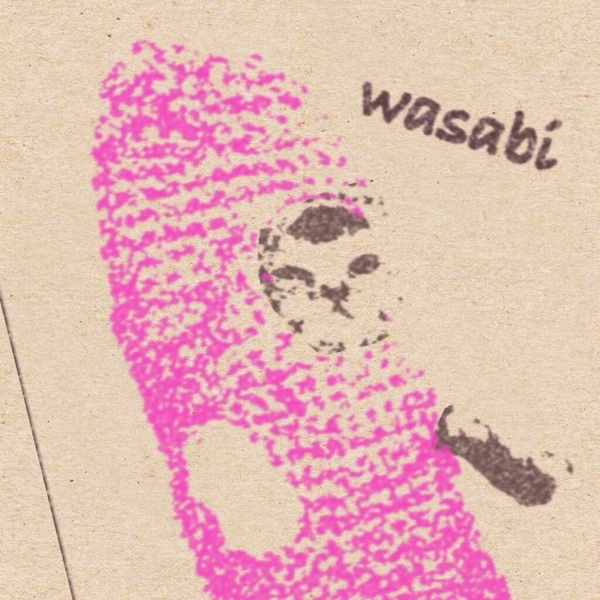 After being attacked, Wasabi-Chan would be entitled to hold a grudge against all other feathered foes. Not so! 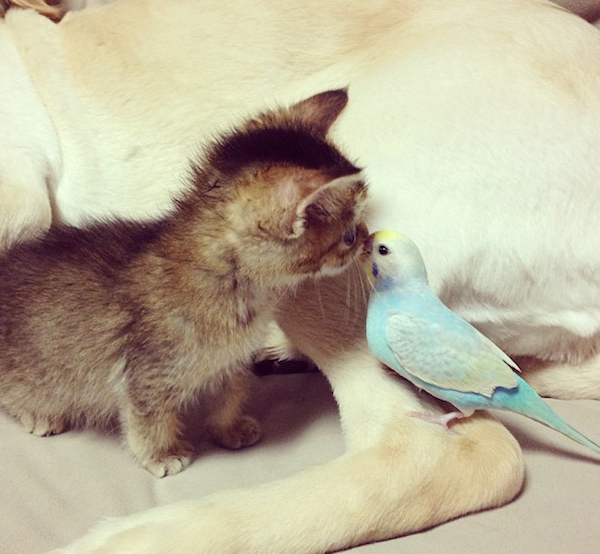 Here she is happily cavorting with a very respectable blue-and-yellow domestic bird. Clearly, Wasabi-Chan is mature beyond her years. 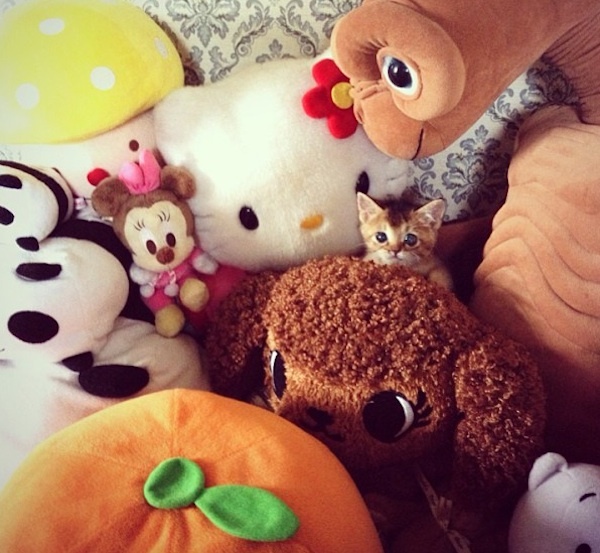 These days, Wasabi-Chan is an Internet star, and it seems she enjoys moving in her newfound celebrity circles. Here she is partaking in what we’d like to imagine is midafternoon tea with her new high-profile pals E.T., baby Minnie Mouse, and certified feline royalty Hello Kitty. According to images posted by @jessiepon, Wasabi-Chan has found a new canine guardian in her life to help fend off any more avian attacks. 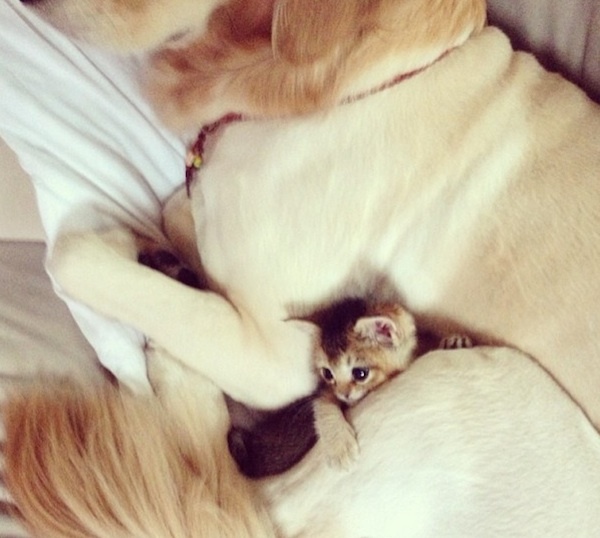 Here she is pictured all safely snuggled up with her new protector pal, who we like to think is called Henry. Wasabi-Chan fan art already exists! Pick of the bunch is this screen-printed effort showing her bundled up in her signature pink bodysuit. Expect to see it on a T-shirt very soon. 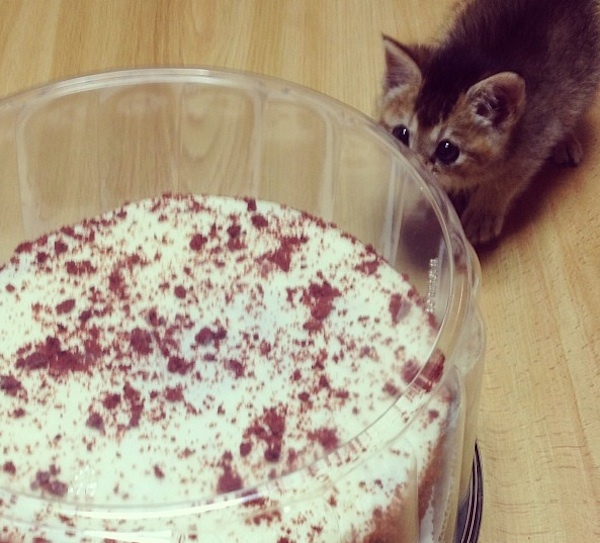 Suggesting that she’s well on the way to a full and healthy recovery, Wasabi-Chan was recently pictured seeming to be very interested in a frosted red velvet cake. Her own line of mini-cupcakes beckons!